Previously, we discussed the importance of attending a training course before launching into your rug cleaning business. Now let’s turn our attention to the pre-cleaning inspection process. 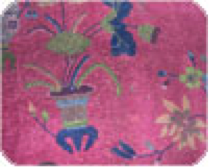 Rugs must always be inspected front and back, looking for problems you see or suspect are issues. Write them on your inspection form and explain what you have discovered to the homeowner, giving her a copy of the report. If a rug is rolled up, waiting for you at the home, give the client a call after you have inspected it in your shop and convey any concerns. There are dozens of items to look for during this process, but we will limit our discussion to a few of the key issues. This is a color or tonal change, which will run in a straight line across the width of the rug. When the rug is heavily soiled it could be missed so look carefully. It is not a defect, it’s just a characteristic of hand-knotted rugs. Rugs from certain countries, like Afghanistan, are prone to buckle. Here is where rug identification comes in handy. If you know a certain rug is going to buckle, point it out to the homeowner and get a release of liability. If you do not have a tack-out floor to fix this type of problem, use a low-moisture moisture method of cleaning. Two of the most common areas of damage on a rug are the sides and ends. Side damage can be repaired with matching yarn and a needle, while the end or fringe damage is also a repair opportunity. If the rug has fringe, look for damage from foot traffic and beater-bar vacuum cleaners as well as dry rot. 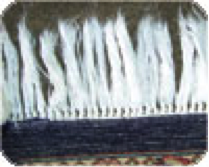 Machine-made fringe is available to hand-sew over the damaged end of the rug. 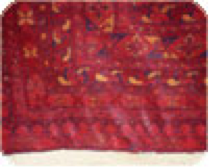 This results from a repair to the warp yarns during the weaving process of a hand-knotted rug. Over time the knotted warp yarn is exposed as the rug pile wears away. 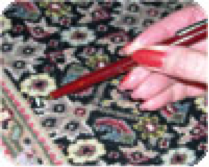 Often, older rugs will have the white knots touched up with a marker pen by someone at the retail store. These will become noticeable after the rug is washed. Touching up the white knots again is the way to keep your customer happy. 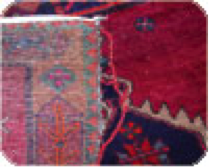 For a complete list of items to look for during the pre-cleaning inspection refer to “The Comprehensive Guide To Oriental And Specialty Rug Cleaning,” which lists over 60 concerns and includes an excellent inspection form. Next time we will look at the equipment you will need for your rug cleaning facility.